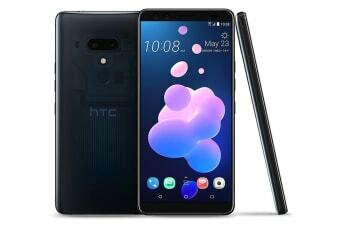 An entirely new design with Pressure Sensitive Buttons, a new touch feedback experience and intelligent, interactive edges lets you do even more things with the HTC U12+ Dual SIM. HTC’s best, most advanced Optical Image Stabilization (OIS) and Electronic Image Stabilization (EIS) systems give you clear, stable images when you are on the go. Record 1080p HD video at 240 frames per second (fps) for eye-catching, steady slow-motion videos. Qualcomm Snapdragon 845 Mobile Platform delivers faster graphics and speed than ever before. It is the ultimate intelligent mobile platform that will extend the way you see, hear and interact with the world around you. HTC’s loudest, clearest and best BoomSound to date! The subtle woofer and tweeter separation design produces unheard of power and clarity. It’s sound that will rock your world.